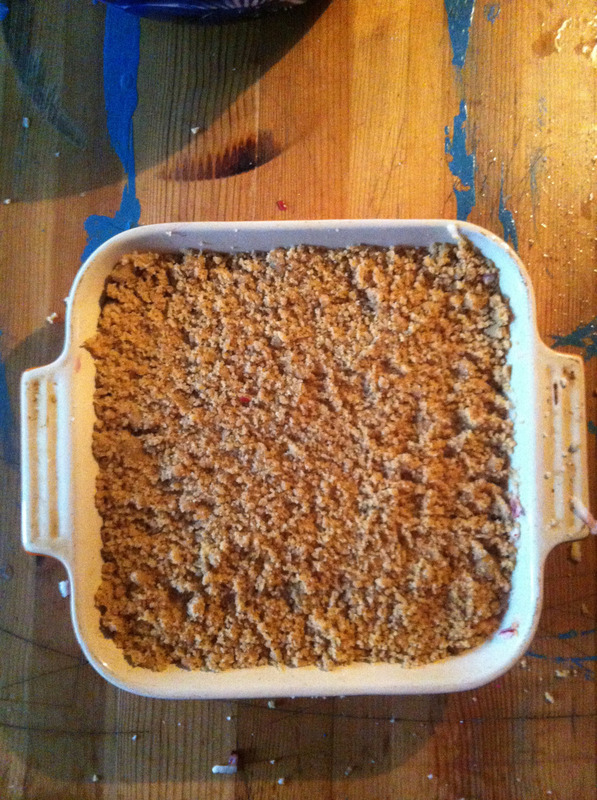 Blurry self explanatory photos of blackberry and apple crumble. I used a little raw cane sugar sprinkled over the fruit and a little mixed in to to kamut and coconut oil crumble topping. I have to say it was delicious.